We start with Stubb’s Original sauce and add habanero, cayenne and black pepper. Get ready folks—when we say spicy, we mean it. 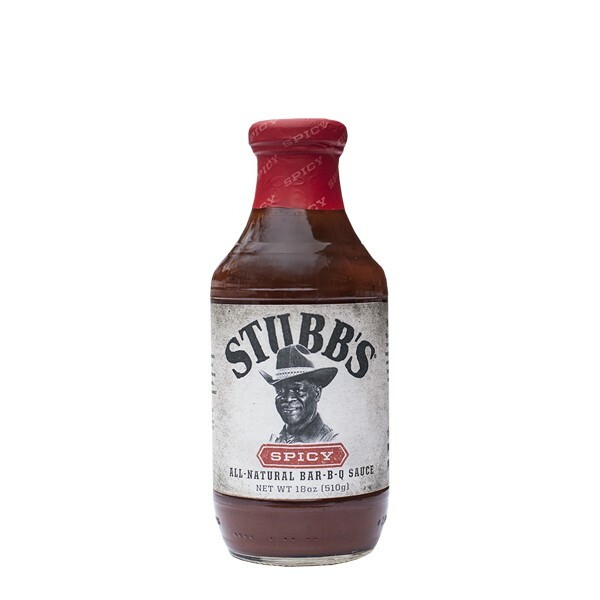 Stubb’s knew his way around the Bar-B-Q pit, but he was also at home in the kitchen. After all, that’s where the sauce was made. After friends encouraged Stubb to bottle his sauce to sell, he obliged, filling empty bourbon bottles and using Serrano peppers as stoppers. It’s no wonder people consider him a legend. Water, Tomato Paste, Sugar, Distilled Vinegar, Molasses, Tapioca Dextrin, Salt, Brown Sugar, Spices, Corn Starch, Habanero Peppers, Contains Less than 0.5% of: *Onion, Paprika, *Garlic, Chili Powder, Natural Smoke Flavor, Citric Acid, Xanthan Gum, Guar Gum, Corn Syrup, Tamarind, Natural Flavors.